Benedict Cumberbatch stars as Alan Turing in “The Imitation Game” (2014), directed by Morten Tyldum. As April showers approach, Netflix will gift its subscribers with a plethora of newly available films. Here are some films to look out for on Netflix this April, and some films to catch before they leave the platform. The trailer for Quentin Tarantino's ninth (and possibly penultimate) film "Once Upon a Time in Hollywood" dropped this week, and serves as a timely reminder to cherish the storied director's previous films. While "The Hateful Eight" may not be the best constructed piece in Tarantino's iconic filmography, it still features the snappy dialogue, twists, and trademark cathartic violence that have cemented the director's legacy. The film is Tarantino's unapologetically graphic take on a Western. For the majority of its runtime, the plot unfolds in one location — Minnie's Haberdashery — as bounty hunters John Ruth (Kurt Russell) and Major Marquis Warren (Samuel L. Jackson) use it as a stop when transporting criminal Daisy Domergue (Jennifer Jason Leigh) on their way to claiming a bounty for her capture. However, they realize that they are not alone in their mercenary ambitions. The film explores the mad twists as the titular "Hateful Eight" fight for control over Daisy. The theatrical cut is currently available on Netflix, but the extended version is sure to bring a new array of unapologetically graphic scenes which will please both faithful Tarantino devotees and newcomers alike. Alan J. Pakula's 1976 film is a gripping tale of widespread deception, abuse of power, and the men who strove to uncover it. "All the President's Men" is as politically pertinent today as it was when Pakula made it more than 40 years ago in 1976. The film details the story of how two journalists, Carl Bernstein (Dustin Hoffman) and Bob Woodward (Robert Redford), uncovered the network of powerful politicians embroiled in the Watergate Scandal. Pakula is dogmatic in his portrayal of journalism as a vessel for truth, a notion that is strengthened by the strong performances of his two leads, Redford and Hoffman. The pacing may feel slow at times, but for every new track uncovered, every new clue unearthed, "All the President's Men" steals your attention. Once you’ve embarked, it's hard to let go. 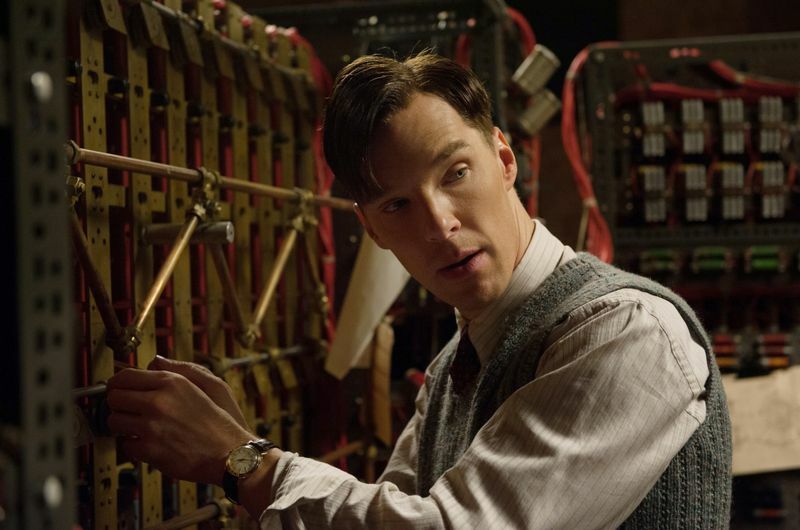 Director Morten Tyldum's 2014 biopic of English mathematician Alan Turing may sometimes seem as if it plays into conventional, "inspirational" movie tropes. While "The Imitation Game" isn't as cinematically groundbreaking as its subject matter, it is nevertheless a well-crafted, well-acted, and brilliantly scored piece of cinema. Benedict Cumberbatch's performance as Turing is powerful in its subtlety and complexity; he moves the audience emotionally when his character faces difficulties, is convincingly assertive when work needs to be done, and otherwise brings a quirky, interesting personality to life. Alexandre Desplat, who also scored "The Shape of Water" and "The Grand Budapest Hotel," accompanies the drama with soaring orchestral themes that help sell the emotional bedrock of the film. "Casino Royale" is not only an easy high point in the Daniel Craig era, but is also arguably one of the best James Bond films ever made. The iconic British spy is the centerpiece of the second longest running movie franchise (57 years, second only to "Godzilla" at 65 years), with 25 films and 6 different actors playing the lead role. While "Casino Royale" is one of the latest films in this series of adventures, it serves as a prequel, sketching out the foundations of Bond's cynical and brutish personality (of Daniel Craig's James Bond). Director Martin Campbell fleshed out the film with a host of strong, multidimensional characters that is headlined by HM Treasury agent Vesper Lynd (Eva Green), and featured riveting riveting twists and a climactic card game that drips with eerie tension. Curtis Hanson's crime film features rapidfire storytelling of a rivalry between policemen Bud White (Russell Crowe), the living embodiment on brawn and brutish force, and Detective Lieutenant Edmund Exley (Guy Pearce), a laid-back intellectual who finds himself rising swiftly through the ranks of the police. The conflict between these two policemen and the central politics within the police station drives most of the film, but is also accompanied with thrilling crime set-pieces. With unexpected twists, charismatic leads who sell two starkly opposite characters, and a somewhat fantastical view of crime in Los Angeles in the 1950s, "L.A. Confidential" is enough of a journey in itself.